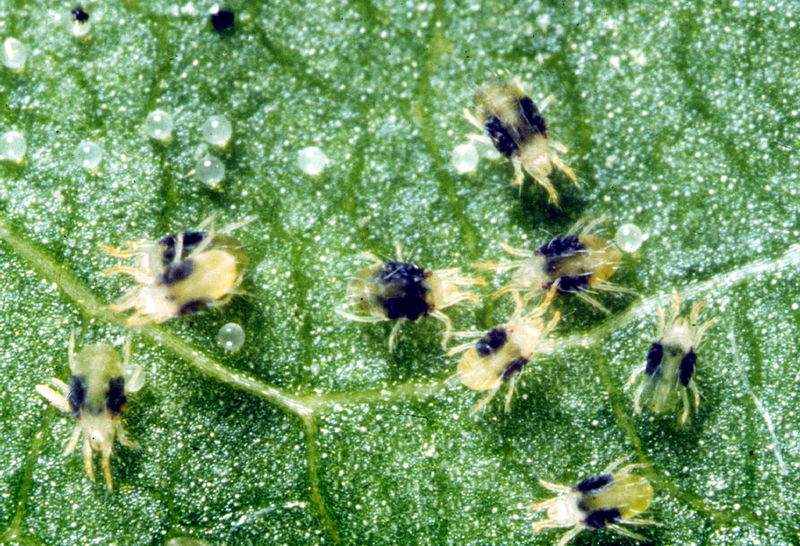 “Mighty Wash is a new revolutionary way to solve your spider mite problem in all stages of development from eggs to adults…Mighty Wash is a ready to use “Frequency Imprinted” foliar spray. It is imprinted with special frequencies which target fleshy bodied insects. The use of frequency is nothing new to our world, and as you probably know all things have a frequency. What makes our products special is the fact that our proprietary frequencies are holding and stable for at least 2 years and running. Leaving the legal battle for a minute, let’s see try to figure out how this product is manufactured. “Frequency Water” is water that’s been exposed to vibrational energy or to minute quantities of dissolved substances. That’s the “electronic frequency imprinting” which is referred to in the legal complaint; it’s also called “water memory” and is the foundation for explaining how homeopathic dilutions work. It will come as no surprise to readers of this blog that there’s no reliable, published science behind any of this. What is surprising is the amount of money these companies make on selling water in a spray bottle. 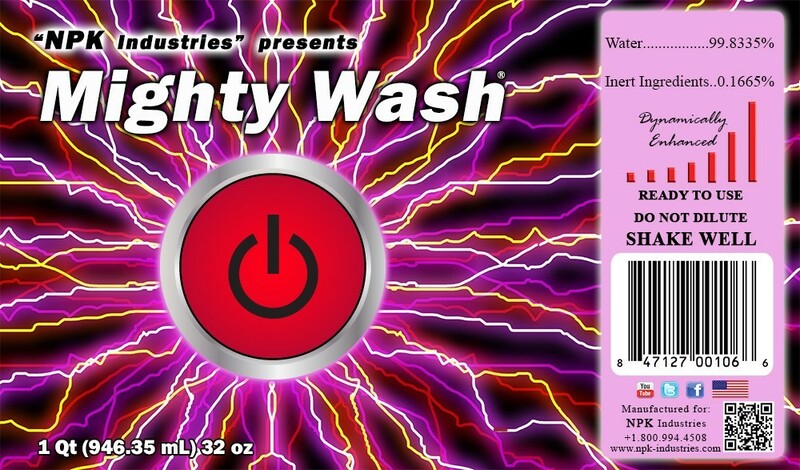 Mighty Wash and related washes (PM Wash, Power Wash, and Ultimate Wash [which is “Mighty Wash without food coloring”]) must generate healthy sales for two companies to squabble over the trademark of a product that is basically…water. And the Irony Prize goes to the charges of fraud and false advertising leveled at NPK by Yeti Enterprises. Naomi, the purpose of our blog is to provide science-based information for gardeners and others interested in growing plants. There is little to no science-based evidence for homeopathy. However, if you have a supporting reference for your statement, feel free to post it and we will be happy to discuss it. Hi there Garden Professors! Boy am I glad I found you. Is there any way for me to submit a question for you to write about? I am a Cannabis grower, for my own use. I hope this isn’t off-putting, as my questions have to do with plants in general, and im not a POS druggy, jist a noral guy. However, as you may know, the Cannabis growing industry continues to expand, and the amount of pseudo-science being parrotted by people who largely belong to the Organic/High BRIX, all natural is better, to hell with evidence, is truly staggering. And some of their BS is starting to creep into other crops as well. Have you heard of the pre-harvest flush? It’s where you dump lots of water through the soil to flush out extra nutrients, forcing the plant to consume it’s own stores, thus cleaning all the extra fertilizer out of the flowers and fruit, making them taste better, and healthier. But you only need to do it with chemical fertilizer, because organic fertilizer is all natural. Anyway, I’ll be reading your site. You’ve already helped me with High BRIX. I was pretty sure it’s mostly nonsense, but there is so little actual information, much less a peer reviewed article, that I was going to try growing the same varieties side by side to see if High BRIX made any difference. Of course, with Cannabis, High BRIX just seems incredibly silly to worry about. Oh, and to those above who insist you try something to see if it really works. 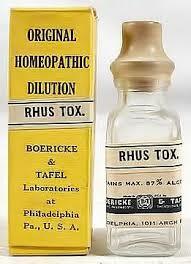 The problem with homeopathy is it is consistently inconsistent. Your anecdotes aren’t evidence. Nor are mine. But if someone tells you that feeding your plants Guinness the day after each fertigation, because it provides CO2 and carbs to microbes, will grow bigger, tastier fruits, are you going to give that a shot? Not me. There’s no reason to believe that would help. If you want me to try something, don’t tell me it works, tell me WHY it works. Glad you found us, too! Probably the best way to get a vigorous discussion going on a topic is to post on our Facebook group page (the Garden Professors blog group: https://www.facebook.com/groups/GardenProfessors/). If it’s a topic that merits a more formal treatment – like yours on “flushing” might – we often will post it here on the blog as well. But if you’re on Facebook, please join and let’s start there. It’s a science-based discussion group with over 4500 members. Thank you! Sorry, I sent you an email asking the same thing. I just love this. I’ve felt like Diogenes the last six months; finally I find an honest man. And he’s a woman, haha! I’m joined in and will get a question out there once I have it well written.